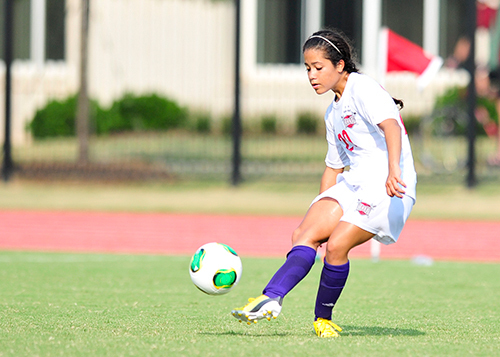 The Troy soccer team (1-2) was unable to score in its first home match of 2013, falling 2-0 to Louisiana Tech today. The Trojans had their chances offensively throughout the game but failed to capitalize. 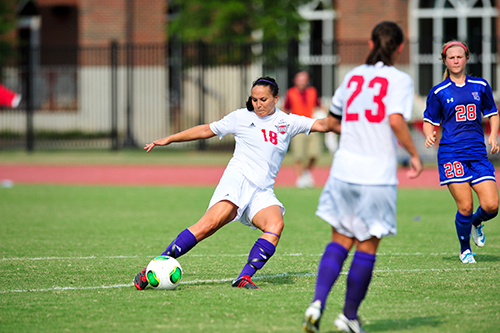 It wasn’t until the 65th minute when Louisiana Tech’s Kathryn Sloan beat the Troy defense to score the first goal of the match. In the 81st minute Louisiana Tech added to its lead when Madison Doll scored on an empty net to put the game out of reach for the Trojans. After the match, Bentley gave Louisiana Tech credit for taking advantage of opportunities. “We have got to realize that if we commit numbers forward we may get countered going backward,” Bentley said. Despite the loss the Trojan coach was still positive about what his team is doing on the field. Troy now shifts its focus on to the home match Sunday at 3 p.m.
After this afternoon’s match there was a Burrito Mile that raised money for #Project19. 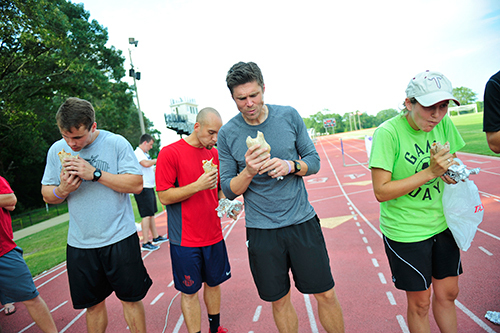 The participants all ate a one pound burrito from Taco Del Mar and ran a mile for a good cause. Coach Bentley ended up winning for the men’s division, much to the delight of the Troy fans and his players. 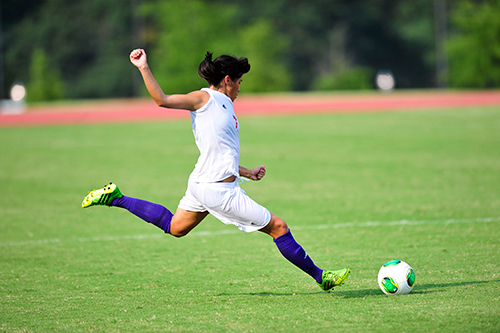 For more Troy soccer coverage all season long follow Trop Sports on Twitter and pick up a Tropolitan every Thursday. To find out more about #Project19, read the feature in the Cardinal Rule that comes tomorrow on campus before the Troy UAB football game.